A very dark new poster for director Scott Derrickson’s (The Last Exorcism of Emily Rose) new horror film Sinister has been released. The film stars Ethan Hawke as a true crime novelist who moves his family into a house where the horrific murder of an entire family took place in an effort to discover his next big story. When he finds a box of home videos in which other families are also brutally murdered, he realizes he may have made a huge mistake by moving into the house. Early word on the film has been positive, and fans currently have the opportunity to request preview screenings in their hometown by going to SeeSinisterFirst.com. Hit the jump to check out the rather disturbing new poster for the film designed by SA Studios. 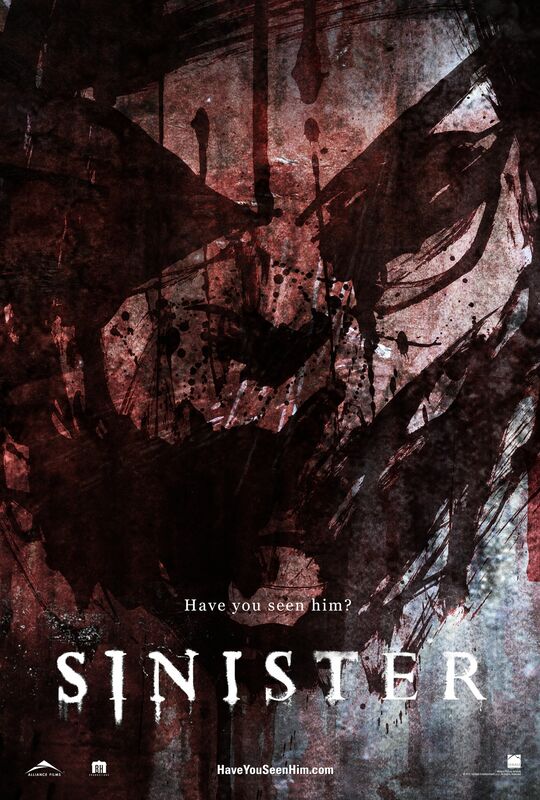 Sinister opens on October 5th.